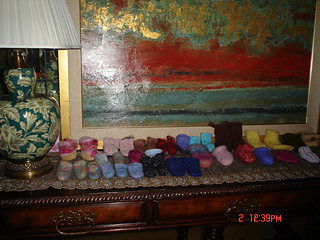 3-6 months 6-12 months 1-3 yr.
Oh My! 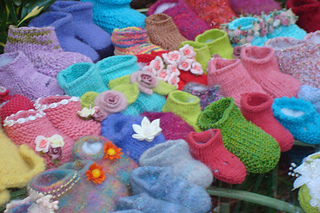 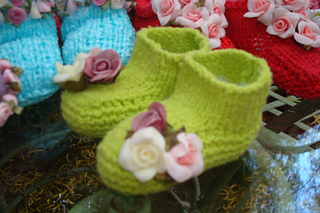 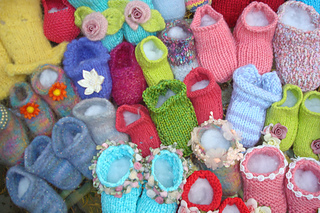 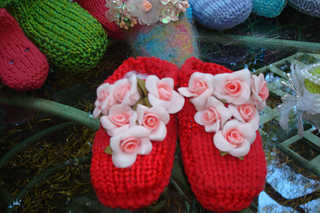 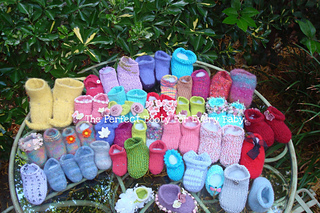 Baby Booties are now available as a crochet pattern as well The perfect basic baby booties! 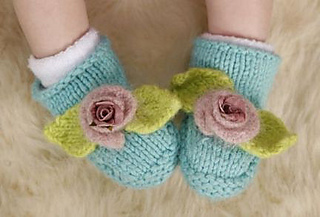 Dress them up or dress them down, these little cotton booties are comfortable for baby and such a quick knit you could make them in the car, in labor, on the way to the hospital and have them darned and ready to go before it’s time to push! 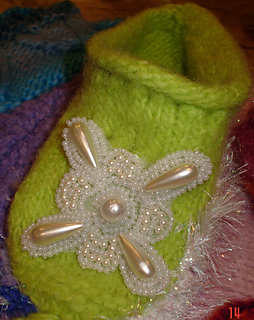 I added different needle sizes to make different size booties instead of changing the stitches.